21/10/2018: If you are looking to get away from the crowds and have a nice quiet meal - this is your place. Situated as part of a hotel, the dining is under lemon trees and a nearby kiwi grove. The service is really kind and attentive, the food is not 5-star but fresh and moderately priced. The eggplant parmesan was delicious. You will need to walk about 500m further than the church at the little square. Just use Maps or keep asking shopkeepers for the Hotel Mariantonia. 20/10/2018: Lugar increíble. 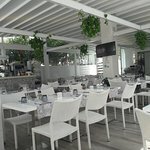 Un jardín de limoneros de película, con una comida riquísima (recomendable la parmigiana) y con un camarero que no ha quitado la sonrisa en ningún momento. Experiencia 10 desde el momento de la reserva hasta la despedida. Grazie Marcello! 25/11/2018: Adorable charming restaurant. The staff was so kind, the food delicious. Loved the location right near the church square. 18/11/2018: Had the most wonderful time at this family owned restaurant. They made you feel like you were part of their family. 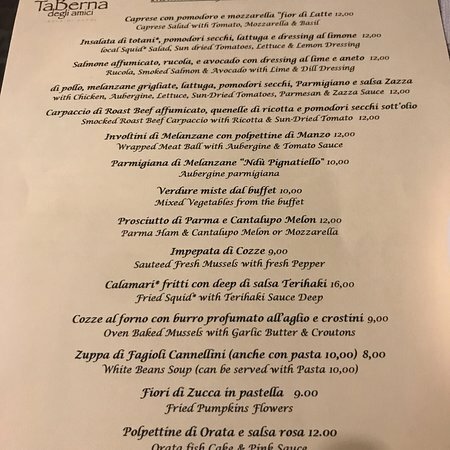 The food was excellent, we ate there three night while we were in Capri ---- had a wonderful time would love to return. 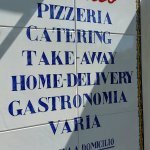 05/11/2018: Sarà stato il meraviglioso panorama, o i piatti davvero creati con amore e passione,a la cena consumata in quella sera di settembre è stata per me indimenticabile. Conto un po' su, ma ne è valsa la pena. A presto! 14/10/2018: Pasamos dos semanas en la región de la costa de Amalfi, terminando con tres noches en Capri. 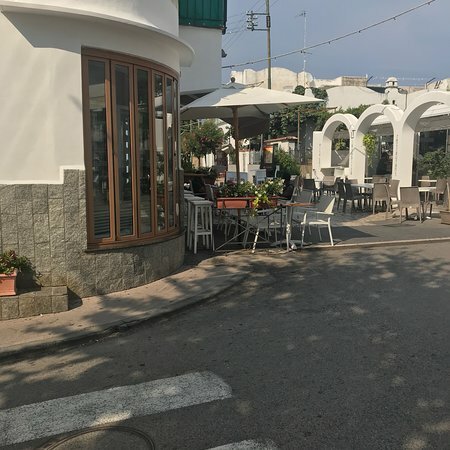 Este restaurante, en el lado Anacapri de la isla, fue sugerido por nuestro alojamiento, Capri Wine Hotel. Mucho después de que otros recuerdos de nuestro viaje se desvanezcan, recordaremos esta noche. 27/08/2018: Lugar encantador, comida e pescados muito frescos, ótimo lugar para ver o pôr do sol. Tem dois ambientes disponíveis, sendo um mais bar e outro restaurante mesmo. 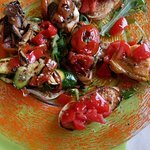 26/08/2018: The lunch we had at Il Riccio was faultless - fantastic food. We had a beautiful fresh fish two course lunch followed by a must-do visit to the dessert room! We recommend this beach club and restaurant to all our friends travelling to Capri ! 20/10/2018: Very nice place to stop for a coffee and cake! 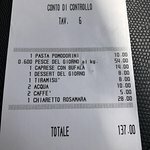 07/11/2018: Cibo buono...prezzi un po' alti. 07/10/2018: We, as a group of about 30, just finished lunch at Bar Columbus. 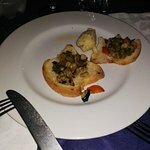 It was one of the best meals i have ever had and beyond that the service was excellent i would highlight recommend this restaurant to anyone. 30/09/2018: Das Restaurant ist sehr schön. 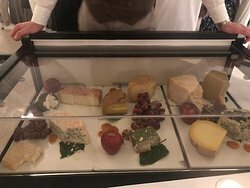 Bereits beim Eingang zum Hotel/Restaurant betritt man einen beruhigenden Garten und kann sich auf einen tollen Abend einstimmen.Der Service und die Küche sind hervorragend. Etwas überrascht waren wir von den vielen fahrbaren marktähnlichen Ständen: Für Brot, Pfeffer, Süssigkeiten oder Tee werden grosse Fahrzeuge voll beladen abgeschleppt. Die Mineralwasser-Karte lässt keine Wünsche offen, wobei ich hier recht einfach gestrickt bin: Italienisches Wasser passt.Die Weinkarte ist kompakt und bietet die eine oder andere Überraschung. 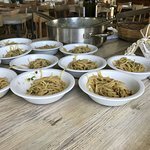 30/09/2018: Wide variety of take away cooked restaurant quality foods:chicken,roasted potato,green beans,fish,pasta .€8-9 will buy large portion that can be enjoyed at Villa Damecuta picnic style. Grazie!